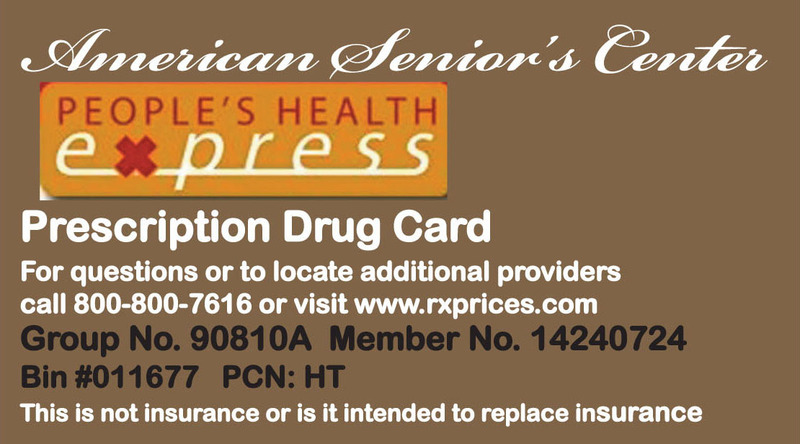 Use this pharmacy discount card to receive the lowest prices on your prescription drugs. A savings of 10 - 60% on most prescriptions! Click here to download your pharmacy drug card. Information Seniors need to know: AARP worked with the Obama Administration to strip $500 billion from Medicare—to use this money to provide more benefits for welfare recipients. 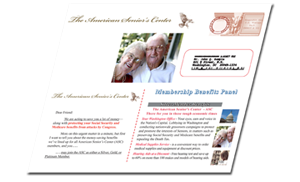 The American Senior's Center is committed to restoring this money to Medicare. We are dedicated to providing money-saving programs for Seniors. We are fighting to protect your Social Security and Medicare benefits from attacks by Congress. And we are fighting to repeal ObamaCare and to replace it with market-driven reforms and competition.